Although the majority of Americans think that home prices will keep increasing in the coming months, most also still think it’s a good time to buy a home. 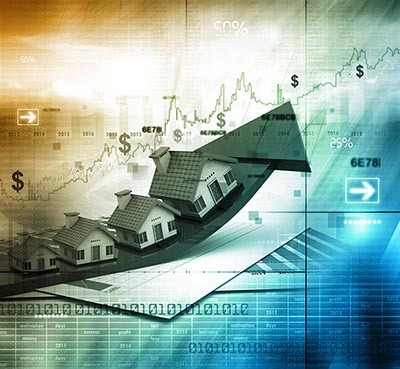 A Gallup poll conducted earlier this month found that 61 percent of those surveyed believe that home prices will rise over the next 12 months, up from 55 percent one year ago. That’s the highest level since 2005, when 70 percent of Americans projected continued home price appreciation. In 2009, during the recession, only 22 percent of respondents expressed confidence in future price growth. Residents of the West are the nation’s most optimistic about the housing market, with 74 percent predicting more price gains — no real surprise given that the region saw some of the highest home value increases last year. Only 6 percent of Westerners think that home prices will decrease in the next year, lower than any other U.S. region. Those in Western states are also the nation’s most likely to think real estate is the best long-term investment when compared with stocks, gold, savings, or bonds. In a separate Gallup survey, 46 percent of Western residents chose housing as their top investment pick, compared with 34 percent nationwide. Even with the expectations of rising prices, most Americans are unwavering in their long-held beliefs that it’s a good time to buy a home. Sixty-seven percent of those surveyed believe that now is a good time to invest in real estate, down slightly from three years ago. Americans’ optimism about home price growth and the value of homeownership is likely bolstered by their confidence in the U.S. economy. For the week ended April 23, Gallup’s U.S. Economic Confidence Index was at +7, the 24th consecutive month of positive readings. Since the November presidential election, the index has generally remained in the same territory, although it has been declining in recent weeks. The possible upcoming federal government shutdown will have a large impact on Americans’ continued faith in the U.S. economy. The last time the government shut down, four years ago, Gallup’s Economic Confidence Index plunged 12 points in one week.